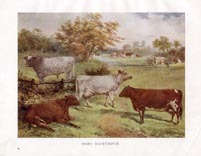 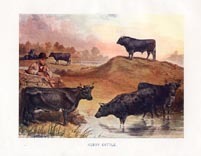 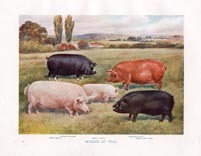 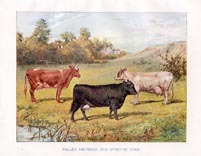 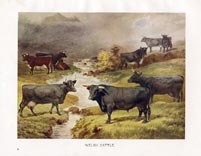 These original Livestock prints are from an early 1900 British guide on the breeding and management of horses, cattle, pigs and poultry. 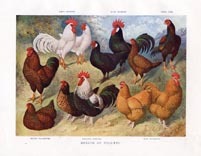 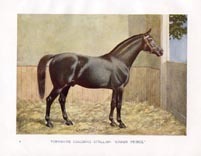 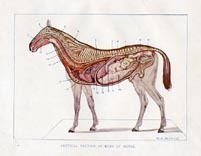 While many of the prints are pastoral in nature, there are some specifically for the veterinarian in caring for livestock, specifically horses. 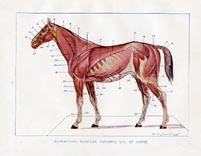 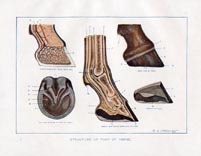 This includes the anatomy, structure of the muscles and feet, and a guide to approximating the age of the horse based on the teeth. 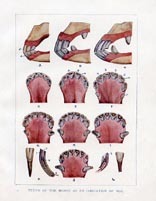 All of these prints are provided with the accompanying legend page. 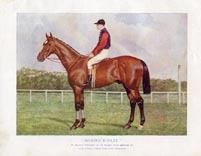 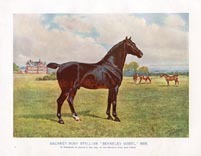 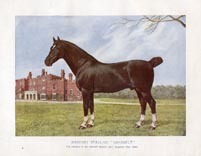 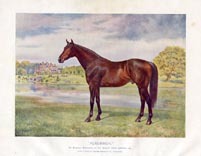 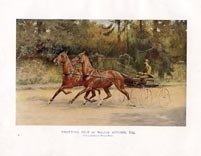 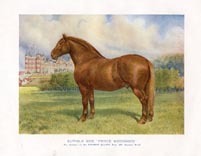 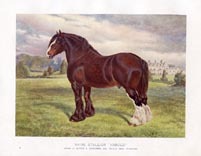 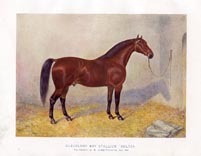 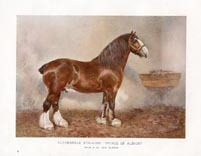 Hackney Pony Stallion "Berkeley Model"
Yorkshire Coaching Stallion "Crown Prince"
Clydesdale Stallion "Prince of Albion"
Trotting Pair of Walter Winans Esq.